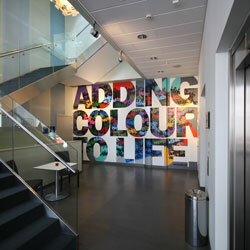 At the end of last year, I was asked to create a wall painting for the Park Inn hotel in Malmö, Sweden. 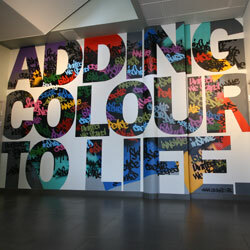 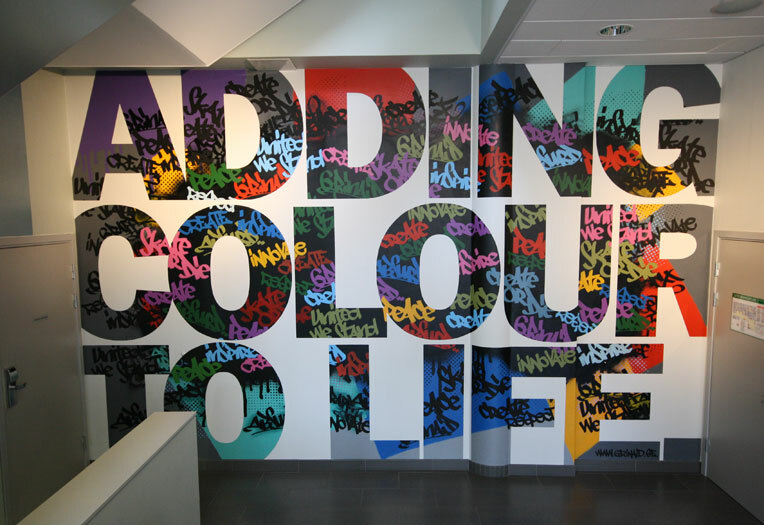 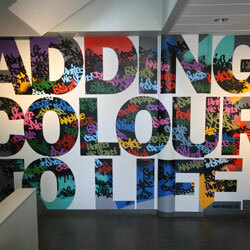 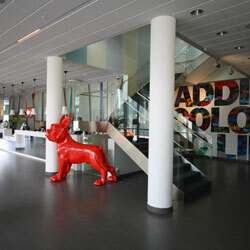 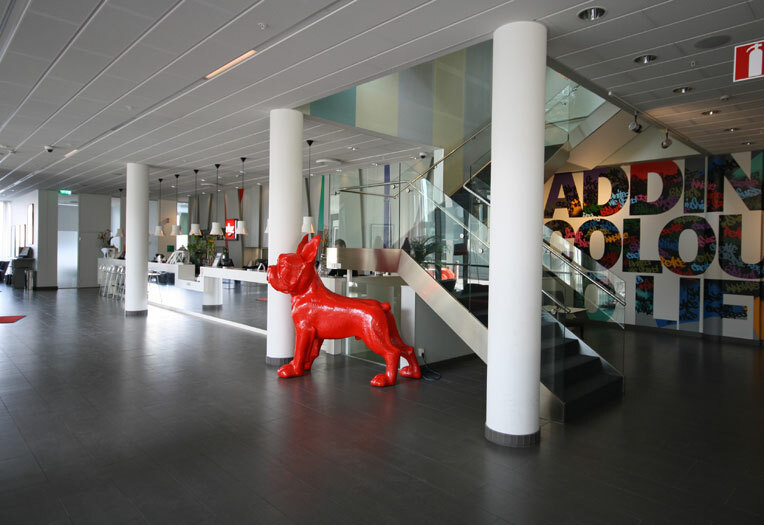 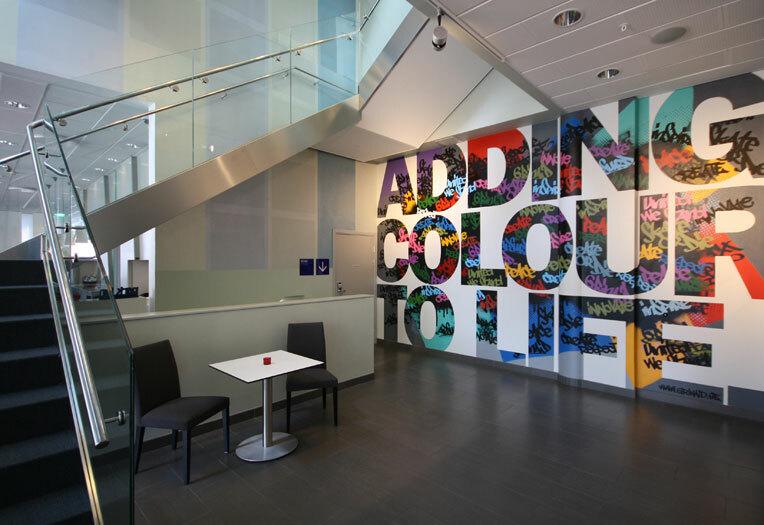 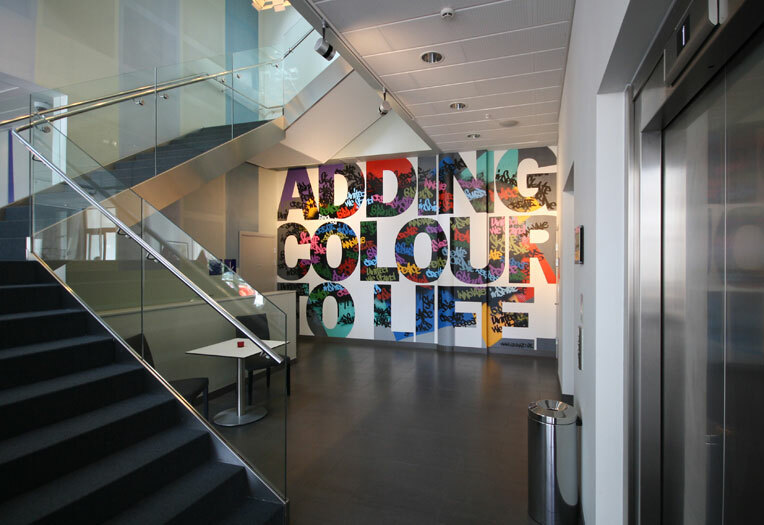 The work was to be set in the hotel's foyer and was to be centred around the company's motto; "Adding Colour To Life". 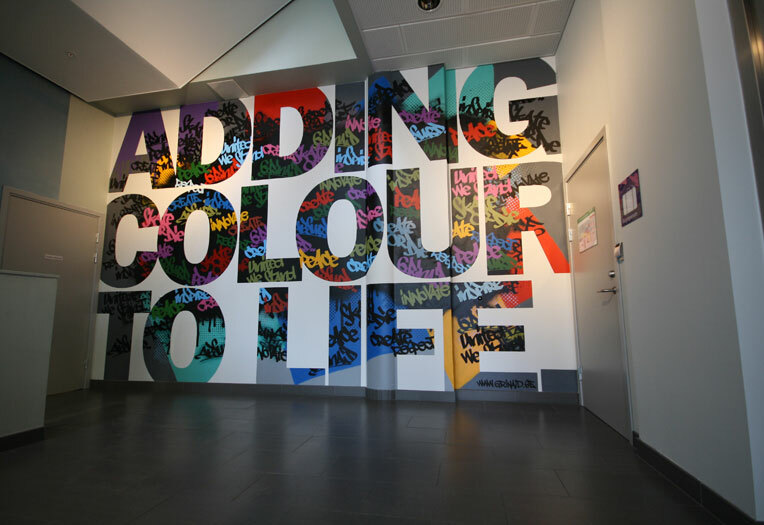 The piece also incorporated words gathered by the staff which the felt summarized what the hotel stood for to its various and broad clientele. 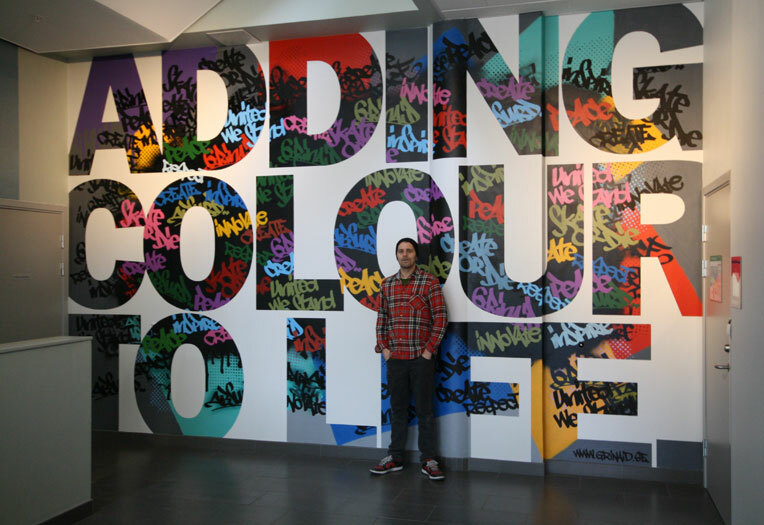 The work was created using spraypaint, acrylic and markers. 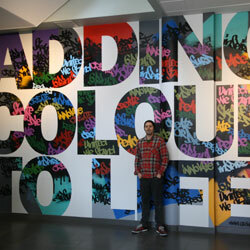 A big thanks to Ulrika Andersson and Clint Dickson for having me and making this happen. 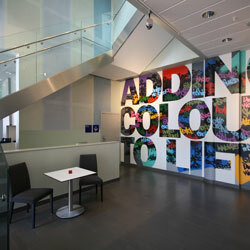 Thanks also to the chefs for providing me with a couple of weeks of great lunches!